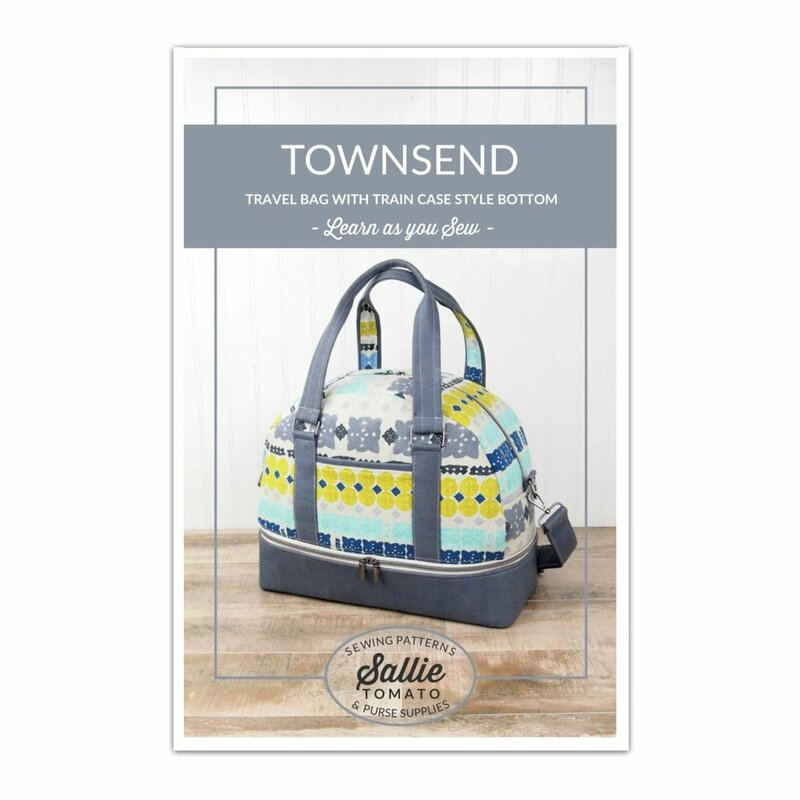 Sallie Tomato provides sewing patterns, purse hardware, cork fabric, and select sewing supplies for bag making. All of my sewing patterns are my own designs. Each are hand drafted, then computer digitized by me. I take all of the pattern photos as well. I personally test each pattern along with a group of pattern testers to ensure that you are purchasing a quality pattern, free from errors! My focus is to create patterns that are easy to understand for all skill levels, fun to sew, and easy to experiment with or customize to your preferences. Each pattern is complete with step-by-step graphics to help make the written directions easier to understand. Included are many sewing techniques and tips to help you achieve a quality, finished project. Each pattern is designed to help you learn and expand your sewing skills!